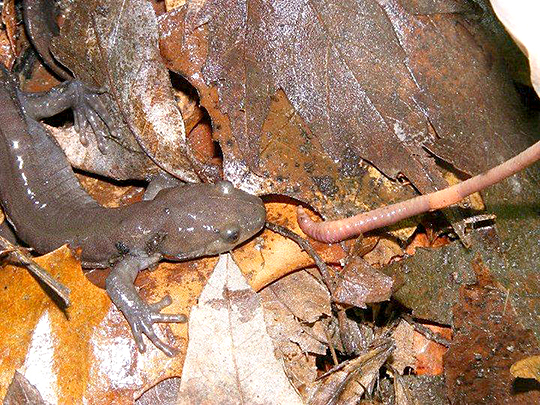 Up close view of a Jefferson Salamander (Ambystoma jeffersonian), one of 22 different types of salamanders found in PA.
Stephan Henschke (spring 2012) holds a Spotted salamander (Ambystoma maculatum) another common salamander found at the site. 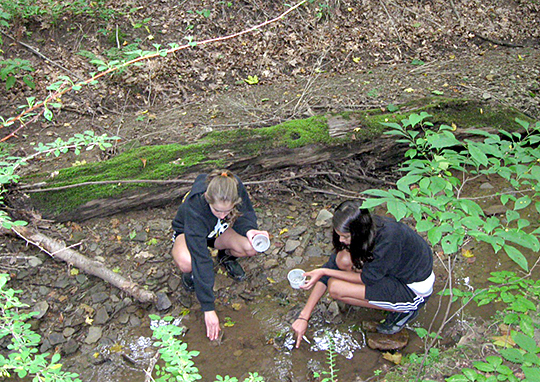 QV Creekers (Jovanna Valladares and Emily Frigon 2009) search for salamanders in a spring seep along Little Sewickley Creek. Jefferson Salamander approaching one of its favorite foods. 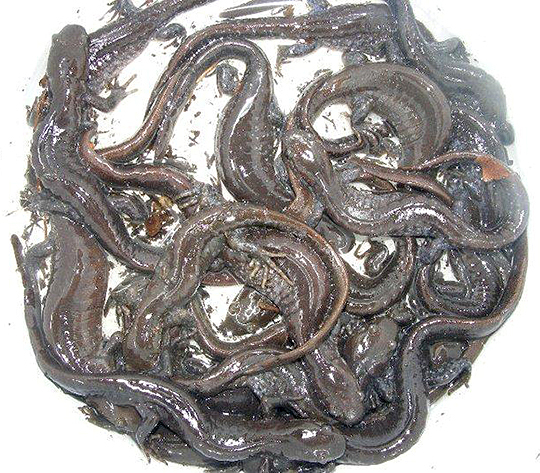 Bucket containing Jefferson salamanders saved from the sewage pits in the spring of 2007. 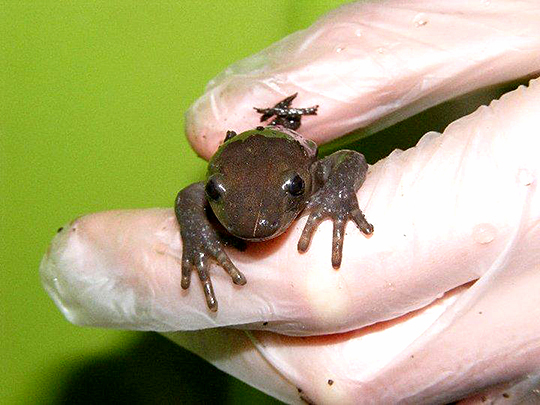 Breeding: one third of an amphibian population migrates each year to mate, returning to the same water source which lies within 1,000 feet of their burrows. 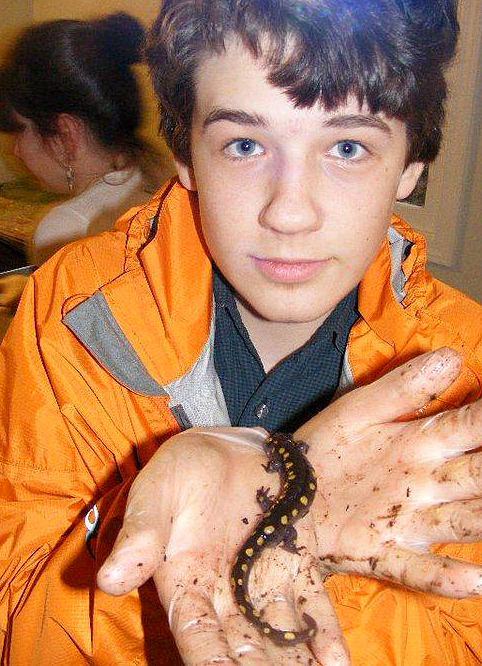 In 2012, the QV Creekers began working with Dr. Catie Hanna of Robert Morris University’s Biology Department to conduct more intensive studies of the Jefferson salamander population. Breeding salamanders captured in the pit traps around the two tanks are marked to establish estimates of population growth, weight gain or loss and number of breeding migrations per specific salamander.